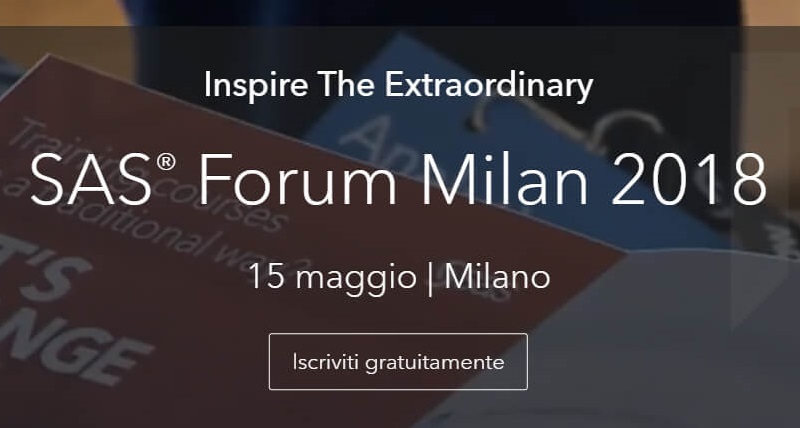 SAS Italy has presented Boost 4.0 at the A SAS national event focused on advanced analytics, artificial intelligence, machine learning. All industries and sectors are represented and targeted with business cases and case histories, including manufacturing. focused on advanced analytics, artificial intelligence, machine learning. All industries and sectors are represented and targeted with business cases and case histories, including manufacturing. Where industry stalwarts take center stage. And they’re talking about the topics that are not only relevant but that matter the most right now. Artificial Intelligence. Machine Learning and Cognitive Computing. IoT. Customer Experience. IFRS9 Compliance, Risk Management & Fraud Management. You’ll hear these experts from across industries share their insights and experiences with using cutting edge analytics that will inspire you to achieve your new possible.